We will, on occasion, offer an instrument for preview, which we have personally chosen to restore. These instruments (please scroll down the page), made available only at random, are truly the ultimate in workmanship, performance and of impeccable quality. 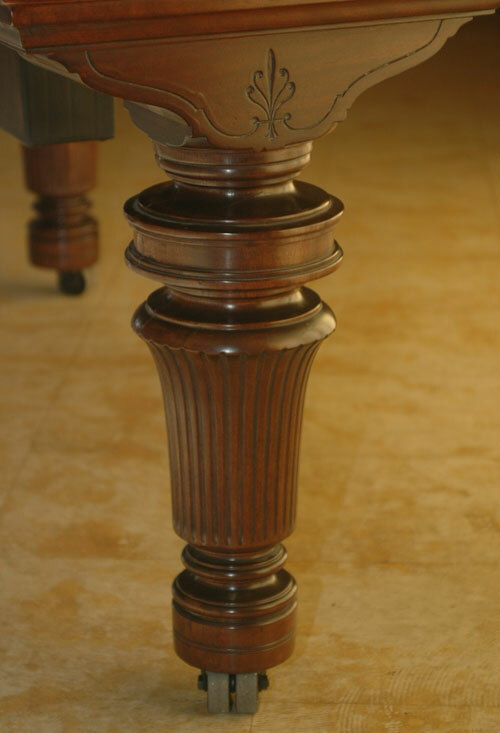 This level of quality and craftsmanship will rarely be found on a showroom floor, and certainly not through a web based marketplace. It has been our experience that most are pre-sold prior to their completion, by reputation and referral. These truly exquisite offerings can be viewed by scheduled appointment only. You may use this link to read what others have to say regarding our work. Rarely found, this handsomely elegant, 6'2" grand piano has burly, fluted, barrel legs, a striking mahogany case and matching music desk with a very beautiful and busy wood grain feature. 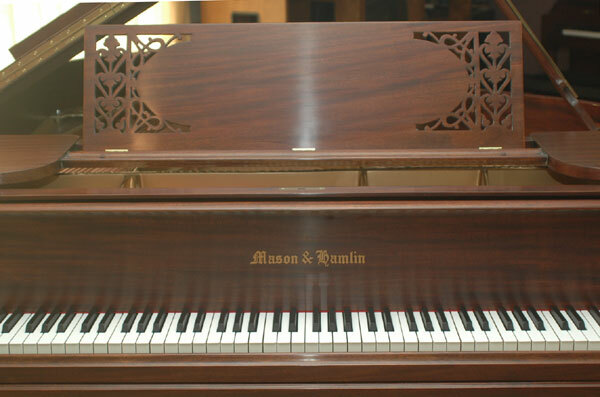 The instrument has been refinished with considerable care, in hand-rubbed satin, in warm tones. Every aspect of this instrument has been entirely restored at our facility, with precise and uncompromising attention to detail. 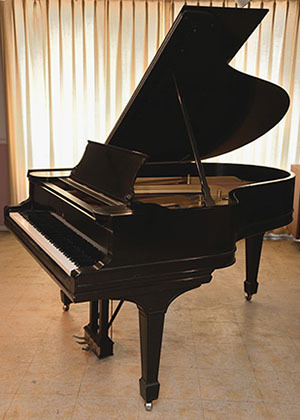 Beyond its stylish appearance, as an instrument, the piano has exceptional performance qualities. Marvelous tones and touch make this piano a joy to play. It is truly an investment to be enjoyed both acoustically and esthetically. The instrument is offered with a full Dampp-Chaser Climate Control System installed. 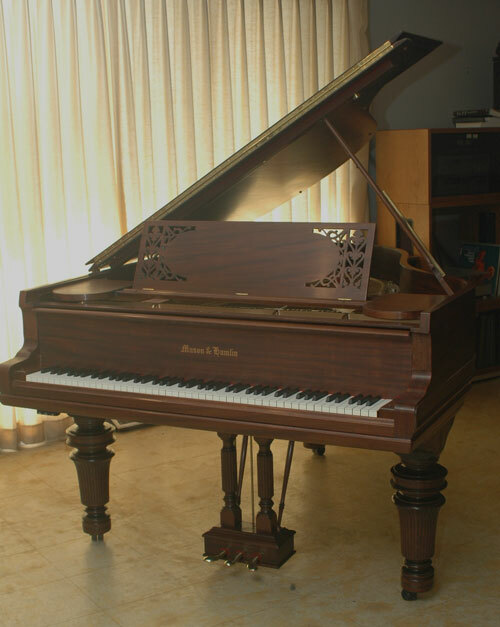 If you are a true piano lover, can appreciate the look of a truly gorgeous piece of furniture, and are in the mood to treat yourself or someone you love, please let your curiosity get the best of you! Feel free to inquire regarding its availability or to set an appointment to view and play it in person. All serious inquiries can be made via email at ralphonesti@verizon.net or by phone at 610.833.1657. 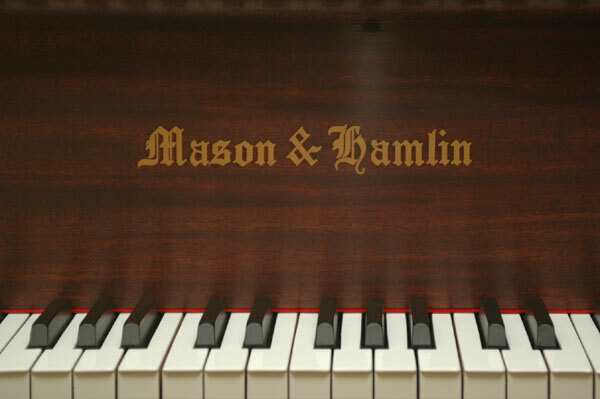 This piano should be compared to a brand new Mason and Hamlin Monticello, Art Case, valued at 99,000.00. Currently offering this instrument at 59,000.00. Seller is motivated. Serious, reasonable offers will be considered. A generous referral fee of 10% will be paid upon the successful sale and delivery of this instrument. 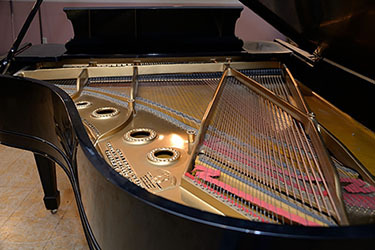 Although listed on this page for convenience, any work performed on this particular piano was not completed at our facility. This instrument has been restrung and the action was completely remanufactured. Refinished in black, hand-rubbed satin lacquer. Great find for any home, studio, serious student or professional. 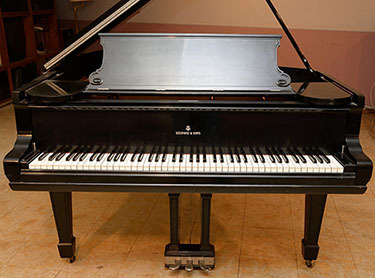 New, this model Steinway would be valued at an estimated 96,000.00. All interested parties my contact ralphonesti@verizon.net or call 610.833.1657 to arrange an appointment. Seller is motivated, and serious, reasonable offers will be considered. A generous referral fee of 10% will be paid upon the successful sale and delivery of this instrument.